With complimentary 4G Wi-Fi and a phone charger as standard in every car, there’s a reason we’re first choice when it comes to UK airport transfers with our private car pick up service being on average 44% cheaper* than alternative airport taxis on account. Wherever your travels are taking you, whether it’s an airport drop off, or meeting you at arrivals for your journey home, Addison Lee are ‘At Your Service’. So book one of our airport cars today, and let us do the rest. Getting ready for your flight? In an ideal world you arrive at the airport and it’s wheels up in no time. The reality – as we all know – is usually a little less seamless. But, when you book an Addison Lee minicab airport transfer our number one priority is to get you where you need to be, comfortably and in good time. Our stress-free airport transfers take the hassle out of air travel. We know your time is precious, especially when you travel. Addison Lee airport transfers remove all unnecessary stress. Enter your flight number when you make your airport minicab booking and we’ll add all the details of your trip to your journey. This allows us to see real-time updates of your flight. When it’s landing or taking off, which terminal you’ll need to be at, even your gate number. By combining this information with traffic updates supplied to us by our HQ, our drivers can plan your journey better and ensure you’re never late for a flight again. We can even check to see if your flight has been delayed or cancelled. So no more long waits at the terminal, what other airport taxi gives you that assurance? So long as you’re travelling inside three months, you can book your airport transfer now. Sign in or register to book in advance or – if you’d rather – book for an immediate pick-up on the Addison Lee app. *Click here for full T&Cs. Getting ready for your flight? In an ideal world you arrive at the airport and it’s wheels up in no time. The reality – as we all know – is usually a little less seamless. 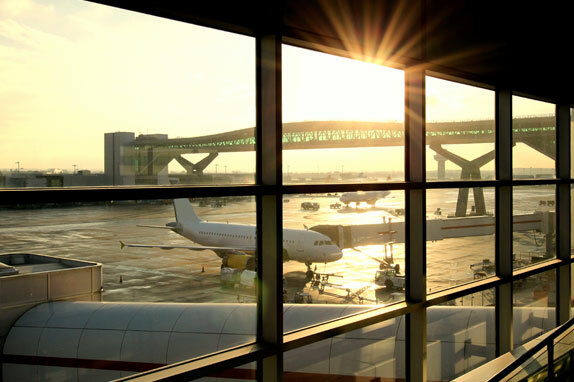 Our guide offers a valuable insight into the best hotels, restaurants and pubs close enough to your London airport to keep you comfortable before or after your flight. We know your time is precious, especially when you travel. An Addison Lee private pick up removes all unnecessary hassle. Enter your flight number below and we’ll add all the details of your trip to your booking. It allows us to see real-time updates of your flight. When it’s landing or taking off, which terminal you’ll need to be at, even your gate number. By combining this information with traffic updates supplied to us by our HQ, our drivers can plan your journey better and ensure you’re never late for a flight again. We can even check to see if your flight has been delayed or cancelled. So no more long waits at the terminal, what other minicab airport transfer gives you that assurance? So long as you’re travelling inside three months, you can book your transfer to and from the airport now. Sign in or register to book in advance or – if you’d rather – book for an immediate pick-up. It’s your call. Peace of mind, so you can get on with your journey. Our private car pick up service is not just reliable but provides a relaxing alternative to another minicab airport transfer. 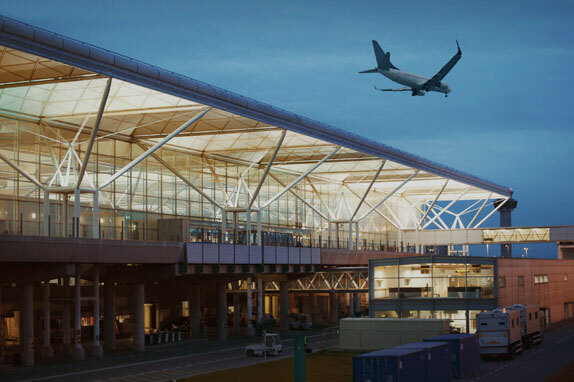 Gatwick airport transfers with Addison Lee are easy to book, always on time and come with a great guide on where to eat, drink and stay while you're passing through. You can book your Addison Lee up to three months before you travel. 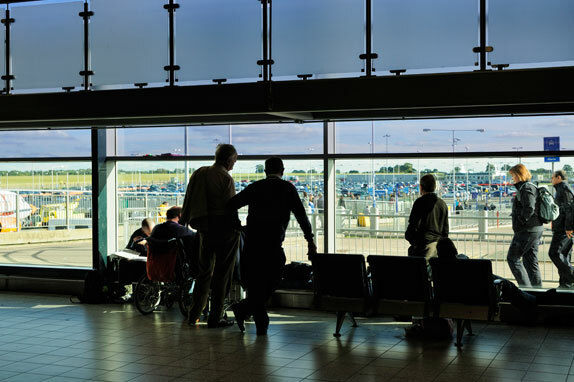 Making your journey to or from London Stansted one less thing to worry about. Addison Lee want to make your trip as comfortable as possible. Our Luton airport transfer service comes with 4G Wi-Fi and phone chargers as standard. 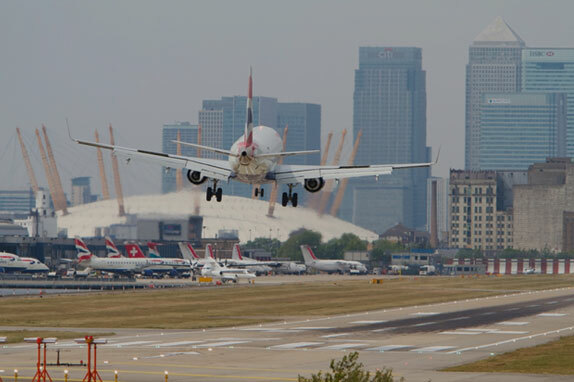 Set in the heart of the capital's Docklands, London City Airport is the fastest way in or out of London. Addison Lee's transfer service can get you there even faster. Flying out of Heathrow? 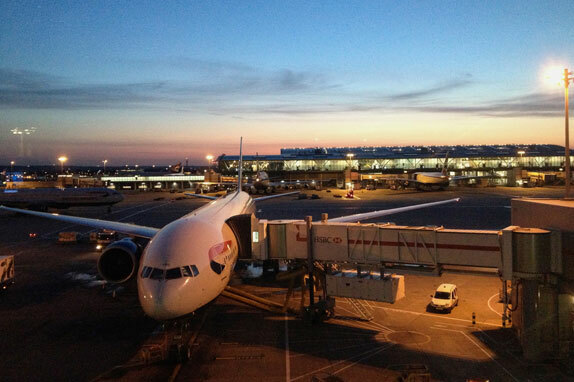 Follow our guide to London's busiest airport. We've uncovered the best bars, restaurants, and hotels in the area.